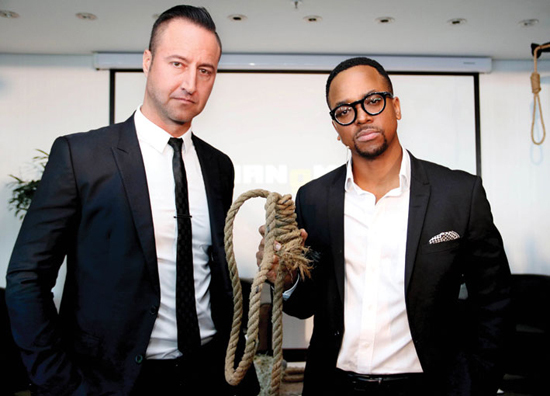 Hangman – a unique fast-paced online reality show which aims to uncover South Africa’s greatest innovator – was recently announced by Cell C. The stakes are high in this revolutionary new programme offering R1 million in prize money. With this in mind, Cell C embarked on producing the 10-part Hangman series which represents a new genre in unscripted entertainment and follows on the success of Cell C’s first online reality talent show Break the Net which streamed on the service provider’s Cell C Reality App last year. Hangman is a global first in interactive, immersive entertainment as it puts viewers in the driver’s seat: by ‘investing’ in a virtual Stock Exchange, they can help determine the outcome of the show, while standing in line to win great viewer prizes including a car. The new reality show also gives wings to the aspirations of entrepreneurs who have identified a gap in the market and have come up with an innovation to bring to the market that fills that space. Contestants will have to prove their mettle through a series of gruelling challenges but their fate will be determined by more than performance alone as they will have to win the approval of backers, captains of industry and investment with keen business acumen and ruthless standards. These include businesswoman Phuti Mahanyele, celebrity economist Iraj Abedian, self-made billionaire Quinton van der Burgh and Bonang Mohale, chairman of Shell South Africa Energy Limited. Hangman is open to anyone residing or working in South Africa who wants to participate in the competition or just view the series. Simply download the Cell C Reality App on Android or iOS to access the shows or to register for the competition. The second stream comes in the form of a Stock Exchange called The Exchange. Viewers can truly immerse themselves in the show, meet the backers, be inspired by successful innovators and get expert business insights. The hub is constantly updated with ‘hot off the press’ content straight from the Hangman set! To take part in the outcome of the show, win great prizes and rewards, viewers can become virtual investors by trading on The Exchange. They will also help drive the outcome of the competition. All customers that download the Cell C Reality App automatically receive 100 000 points which they can use to participate in The Exchange. Points are allocated to play the game. Customers win a variety of prizes by playing the game. Prizes include a car, smartphones, data, cash and vouchers. The innovator who succeeds in garnering the support of the backers, while rallying viewer/’investor’ sentiment, could walk away with a R1 million cash prize and everything needed to succeed in a 21st century market. Entry is open from 21 June to 21 July with the show streaming online from 9 October to 11 December. Contestants and viewers do not need to be a Cell C customer to play or download the App but Cell C customers will receive bonuses for participation and viewing the show.